Mepex is a Norwegian consulting company specializing in waste management and recycling. We have a long list of oth ongoing and completed assignments for both the public and private sector. Mepex is an independent company run by partners. We have 16 employees, and are located in the centre of Asker. Our employees have a solid knowledge base and extensive expertise in this field of waste management and recycling. 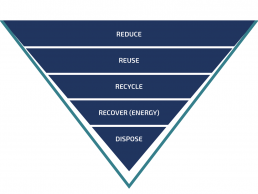 We embark on projects for different types of client groups, throughout the waste pyramid – and along the entire value chain for all types of products and materials. The combination of planning, practical implementation and operation gives us insight into the challenges facing all the different players. We would like to share our insight with you! With our expertise and advice, we can provide you with solutions that are environmentally friendly, resource efficient and cost effective, and contribute to the circular economy in practice. Contact one of our advisors for further information and to make an appointment.